Outlaying time and money to consult with industry experts in the field of professional advancement has often proven advantageous to an individual’s career. This includes investing in career coaches to better understand your strengths, talents and ambitions, and how you can achieve professional goals, as well as resume writers to be able to adequately convey such information. A professional resume writer will invest time and effort in collaboratively constructing brand-selling documents (from resumes to selection criteria to LinkedIn profiles) that help advance your career. It’s all about pinpointing and highlighting your most job relevant skills, powers and achievements. A highly collaborative process that could yield professional aspects of your life you hadn’t even contemplated. They have industry knowledge: An industry qualified resume writer is likely to keep abreast of the latest market shifts and trends in relation to career advancement. Most are members of national or international bodies that ensure their own writing skills remain contemporary and industry compliant. * For example, the protocol surrounding applicant tracking systems (ATS) continues to evolve along with corresponding software. A professional resume writer will employ the most up-to-date ATS standards to ensure your job application makes it through to human recruitment stage. They will write objectively: Many of us find it difficult to write about ourselves from an impartial, dispassionate perspective, particularly when it comes to selling our professional offerings. This is where an industry qualified resume writer can step in and provide personalised strategy and insights that help you to stand out to potential recruiters. * A professional resume writer will know how to highlight your most relevant capabilities, how to write in an appropriate tone, and how to structure your documents accordingly. It’s all about customisation: Those who haven’t dusted off their resume for a while may remember the old days when the same resume could be used for a range of job openings. Those days are well and truly over. Job applications must now be strategically tailored for the specific position and/or industry you’re striving for. 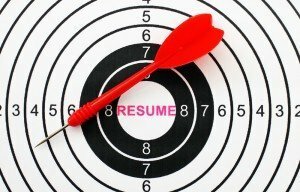 All professional resume writers understand this and will coordinate your resume and other documentation to ensure this. * Keyword optimisation is a significant customisation component of most career advancement documentation, from online resume applications to LinkedIn profiles. Job interview is their primary goal: A professional resume writer is committed to writing documentation that helps you reach human recruiters and stand out as someone they want to learn more about. Furthermore, well-written career advancement documentation will instil confidence in your strengths and abilities – based on a collaborative process where these areas are jointly identified and highlighted. * Many industry qualified resume writers are also able to provide guidance and recommendations in relation to the interview process, to help you achieve your final end goal. Jeanette Walton is a Degree and CARW qualified resume writer, with extensive experience in writing career development documentation across a range of roles and industries. She has been recognised as having a sixth sense for weaving all the necessary information together. I will be transitioning out of the United States Army Reserves in approximately 18 months or less. I need to transition into a new career and create my brand for future business opportunities and success. How can you be of help to me in this process? I do know that I need a linkdn acct, and a website. I also may need more than one resume.